Five-time nominee and winner of the 2017 Hollywood Fringe Festival Solo Performance, Pick of the Fringe, and Encore! Producer’s Awards Under The Jello Mold, written and performed by Jennie Fahn, will return for an extended run beginning September 9 at the Whitefire Theatre in Sherman Oaks. Directed by Tom Cavanaugh, Under The Jello Mold will play on Saturdays at 8pm with two added performances on Sunday, November 12 at 3pm and 7pm. 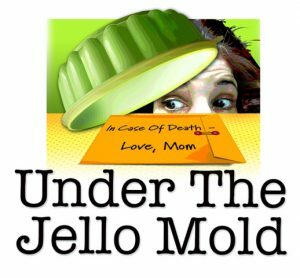 Under The Jello Mold is Jennie Fahn’s solo show about how she dealt with her very colorful character of a mother during what turned out to be the final act of her mother’s life. Jennie’s mother was a force to be reckoned with — a former dancer never content to merely rehash her past, there was always a story to be embellished, always a name to drop, and always a lesson to teach. Told in anecdotes, characters, and song, the show is full of laughs and a lot of heart. Running time is 80 minutes. Jennie Fahn is a writer, actor, and director. You Mutha!, her first solo show, ran for two years in Los Angeles and was featured in the 2005 New York Fringe Festival. She can be seen in the upcoming feature films Spinning Man, The Twin, and Muse. LA theatre appearances include Grow a Pair … of Wings (Lounge Theatre), Pride and Prejudice (Actors Co-op), Alice in One-Hit Wonderland 1 & 2 and Jackson Frost (Troubies), Andrew Lippa’s The Wild Party (Musical Theatre Guild), Anyone Can Whistle (Matrix), A New Brain (West Coast Ensemble), Wonderful Town (Reprise! ), and Amadeus (with Neil Patrick Harris at the Hollywood Bowl). Television credits include The Middle, Heroes, Without A Trace, The Bernie Mac Show, My Name is Earl, Will & Grace, Becker, and I’m Dying Up Here (Showtime). Fahn recently wrote and directed a short film entitled Break and she is the writer/co-star (with Tippi Hedren) of the short Tea with Grandma. Director Tom Cavanaugh received his MFA in Playwriting from the Actors Studio Drama School in 2000. His play Behold was a 2010 finalist in the New American Playwrights Program at the Utah Shakespearean Festival and also won a 2011 Pickering Award for Excellence in Playwriting. His play Adam & Yoshi was a finalist in the McKinney Repertory Theatre New Play Competition in Texas, a finalist at the 2013 New American Playwrights Program at the Utah Shakespeare Festival, and won the 2012 ‘Make the House Roar’ Prize for Comic Plays at the Lionheart Theater of Georgia. Cavanaugh’s play Inland Empress had its world premiere in 2016 at the Lounge Theatre in LA. This year, his play The Fiels was a finalist at the CTI Theatre Festival in Independence, Missouri. Recently, Cavanaugh’s Mr. Picman was part of the Short & Sweet Theater Festival in Hollywood and is set to be produced in Theatre of Note’s Late Night Short Play Series. 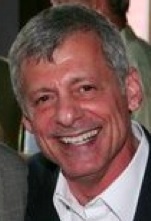 He is a member of We Make Movies in Hollywood and La Strata Theatre Ensemble in New Jersey. Under The Jello Mold, produced by Tom Cavanaugh and James Cavanaugh, is set to open on Saturday, September 9 at 8pm. The regular running schedule is Saturday at 8pm through November 12, and there will be additional performances on Sunday, November 12 at 3pm and 7pm. Admission is $25 and tickets are available now, online at www.brownpapertickets.com/event/3053655 or by phone at (800) 838-3006. The Whitefire Theatre is located at 13500 Ventura Boulevard (on the corner of Sunnyslope, between Coldwater Canyon and Woodman), in Sherman Oaks. Brimmer Street Theatre Company’s world premiere production of All Your Hard Work by Miles Brandman, directed by Michael Matthews, begins performances this coming Thursday, July 19, at 8pm, at the Lillian Theatre in Hollywood. Opening night is Saturday, July 21 at 8:00. All Your Hard Work will play a strictly limited engagement through August 25. In All Your Hard Work, Mary-Ellen reconnects with Jim, a college boyfriend in town on business, and they end up back at her apartment. When Jim asks for a potentially dangerous favor, Mary-Ellen is forced to choose between her old affections and a long-simmering need for revenge. 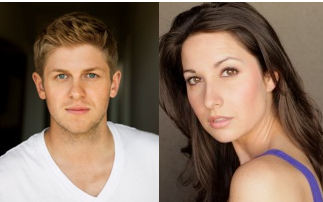 The cast will feature (in alphabetical order) Amy K. Harmon and Michael Grant Terry. The set design for All Your Hard Work is by Stephen Gifford, lighting design is by Tim Swiss, costume design is by Christian Svenson, sound design is by Cricket Myers, Rebecca Eisenberg is stage manager, and All Your Hard Work is being co-produced for Brimmer Street Theatre Company by Ken Werther and Michael Bulger. The play was developed as part of the 2011 Brimmer Street ‘Blueprint Series,’ and is a guest production at the Lillian Theatre. The preview performances are on Thursday, July 19 and Friday, July 20 at 8pm, and the opening night performance is Saturday, July 21 at 8:00. The regular performance schedule will be Thursday, Friday and Saturday at 8pm through August 25. All seats for regular performances are $20 (previews are $15). To purchase tickets, visit www.BrimmerStreet.org or call (213) 290-2782. The Lillian Theatre is located at 1076 N. Lillian Way (one block west of Vine, just off Santa Monica Boulevard), in Hollywood, 90038. Street parking is available. The Latino Theater Company, in association with Ken Werther, has announced an extension of The Good Boy. This new solo show, written and performed by Michael Bonnabel and directed by Darin Anthony, is now running at the Los Angeles Theatre Center. The performance schedule for The Good Boy is Thursday, Friday and Saturday at 8pm and Sunday at 2pm. General admission is $30, with a discounted price of $20 available for students and seniors. Every Thursday night, all seats are $10. Tickets are available now by visiting www.thelatc.org or by calling (213) 489-0994. The Los Angeles Theatre Center is located at 514 S. Spring Street in downtown LA.